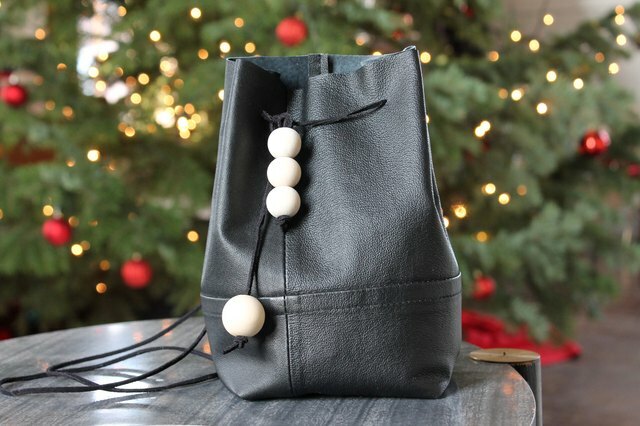 If you've been wanting a trendy bucket bag, but you don't like the expensive price tags on those you find in stores, we've got some good news: You can create your own chic bag from an old leather jacket that's been collecting dust in your closet. 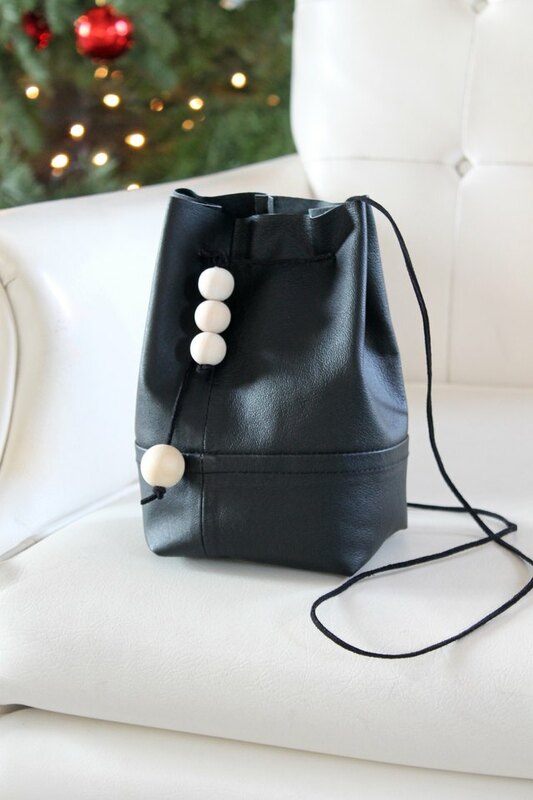 Using a handful of accompanying items — including contrasting wooden beads for a cool detail — you can sew together your new favorite accessory for a fraction of what a labeled alternative would cost. And when you're finished, you can sling this versatile bag over your shoulder knowing that you made exactly what you wanted. 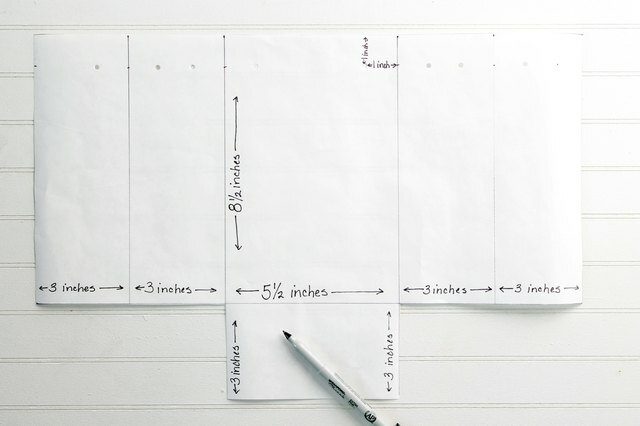 Use freezer paper to create your pattern with the same dimensions as the photograph below. 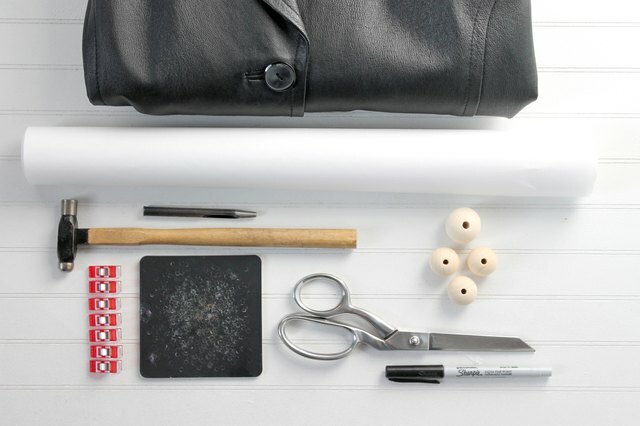 Cut the lining from the jacket, and then cut the back off the jacket to create a piece of leather that is big enough for the pattern piece. The seams on a jacket can create some interesting lines on your bag. 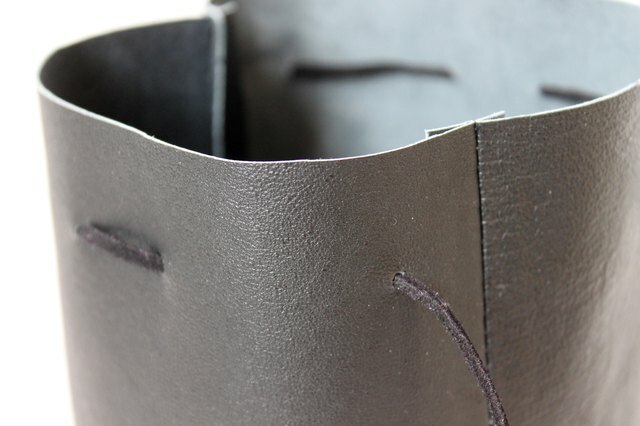 Use the paper pattern as a guide to cut the leather. 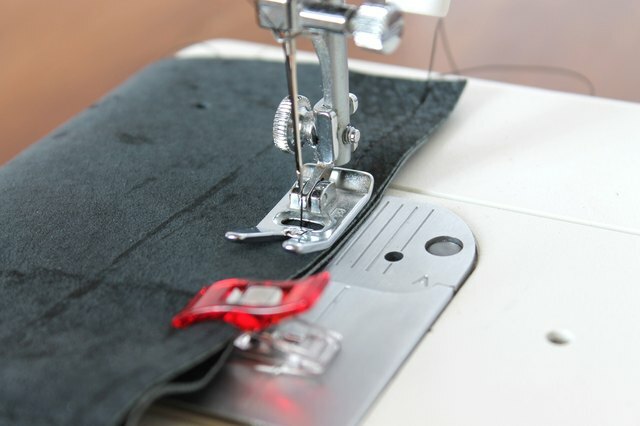 Instead of using pins to hold the pattern in place as you cut, opt for pattern weights instead. This way, you don't put holes in the leather. 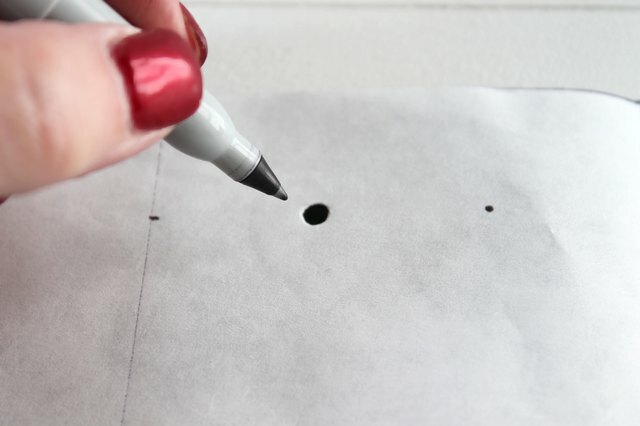 Place the pattern on the back side of the leather and mark the holes with a marker. 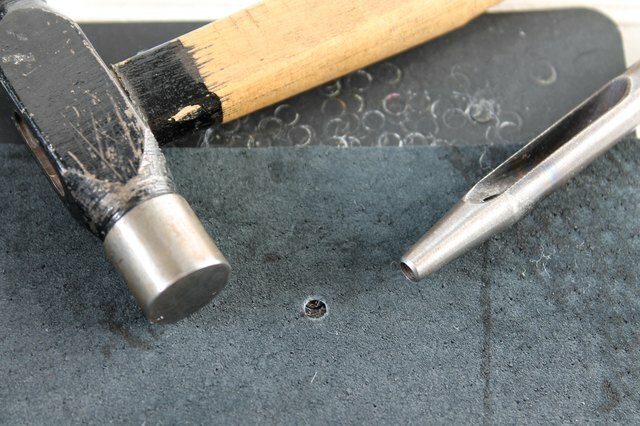 Punch holes in the leather according to your marks using a leather punch. 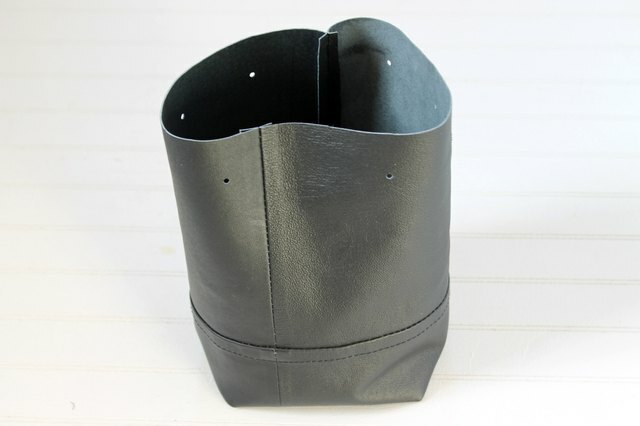 Fold the leather in half with the right-sides together and use clips to hold it in place. 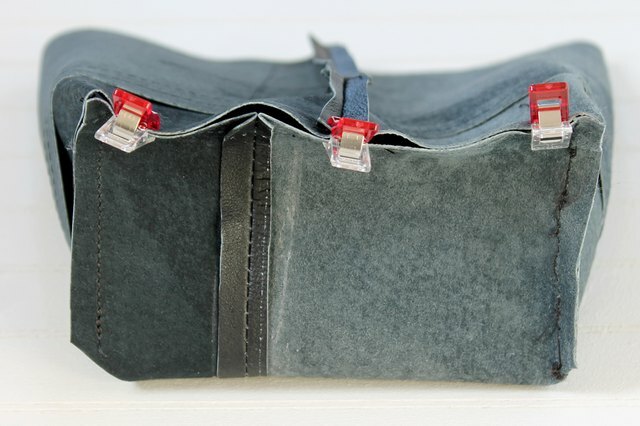 This seam will become the back of your bag. 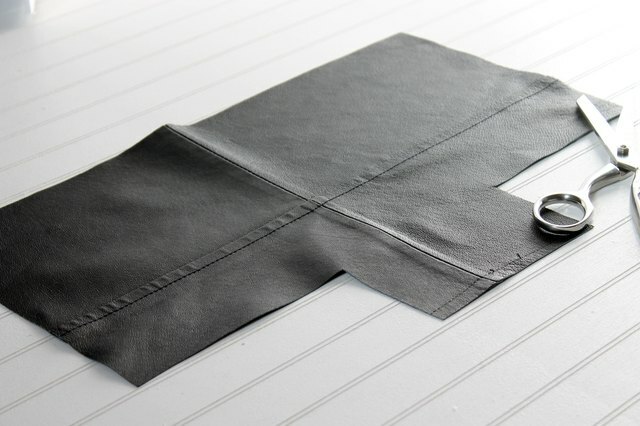 Sew a 1/2-inch seam allowance with a leather needle (110/18). Be sure to remove the clips as you sew. 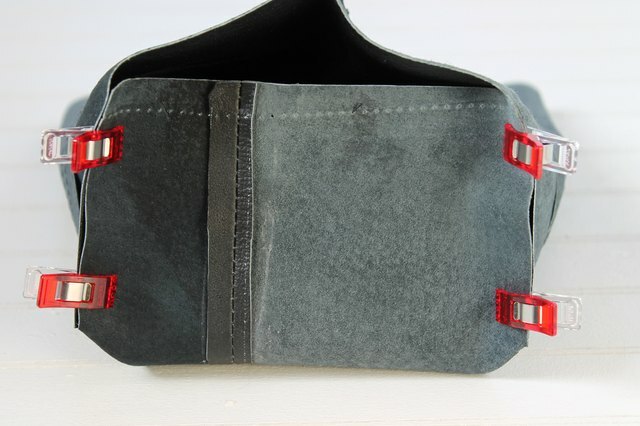 Fold the bottom piece up and clip the two opposing sides with the right-sides together. Sew with a 1/2-inch seam allowance. 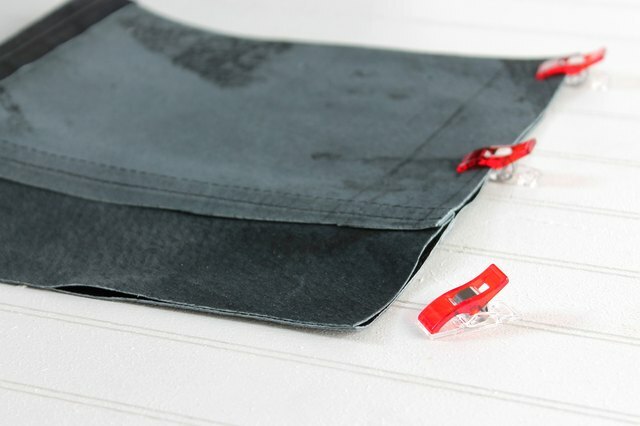 Clip and sew the third side with a 1/2-inch seam allowance. Turn the bag right-side out. Push out the bottom corners with your finger. Thread the leather cord through the holes starting in the front. Thread the beads onto the ends of the cord and tie a knot to hold them in place. Now you have an on-trend accessory that you can take with you anywhere!